Rougher Magic created by a Writer | Nasty Shadows Theatre Co.
Robert Moore co-founded Nasty Shadows along with former student, Scott Shannon, when the two found themselves both living in Fredericton in mid-’99. As the Company’s theatrical leader in the early years, Robert’s example and knack for capturing the theatrical was responsible for Scott developing the understanding and continued enthusiasm to steer the Company in the direction it has followed in latter years. Robert has since stepped away from doing much work with Nasty Shadows; he has published three books of poetry in recent years, as well as being active directing and acting with the Saint John Theatre Company. 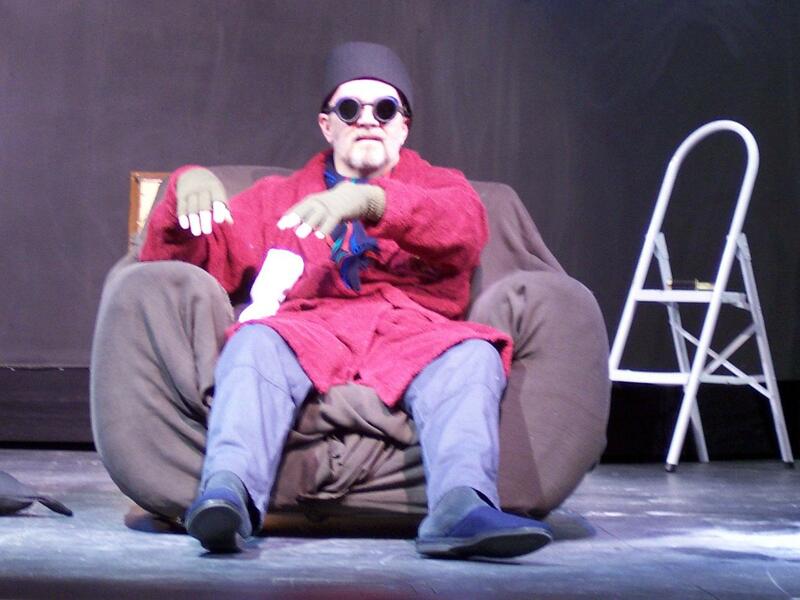 A Nasty high point was having Robert on stage as ‘Hamm’ in the Company’s production of Endgame, which he also directed. House was the last Nasty show directed by Robert, after his 2nd on-stage performance earlier that year in Geography Of A Horse Dreamer (2008). Nasty Shadows would not be what it is without the guidance provided by Robert in the early years, and his continued peripheral interest. The Shadows are thrilled to be returning to the island for Moore(‘s) Rougher Magic: A cubist Shakespeare. Posted on August 16, 2014, in Production News, Theatre Stuff, Theatrical Stuff and tagged Nasty Shadows, Robert Moore, Rougher Magic, Scott Shannon, Shakespeare, The Tempest, Theatre. Bookmark the permalink. Leave a comment.